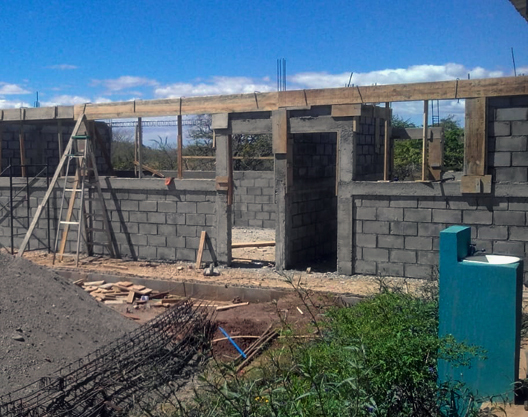 Amazing progress was made on the 3rd wing of the La Carreta secondary school by the construction crew during the dry weather at the end of 2018 and start of 2019. This wing will house the school library and a kitchen and dining area for the students and teachers. The kitchen will be used to prepare the produce grown by the students, for their own mid-day meal, for their families and eventually for sale. The parents of this school community chose the site for this school and decided that, long term, the focus of the school would be, in addition to the normal curriculum, an agricultural and animal husbandry education for the area youth. We are all very grateful that the recently dug well has reached a good water source. We want to keep you informed! Please use the form below to sign up for our email updates. We will protect your privacy. Your email address will be used only for sending our occasional email updates and for no other purposes. Type the characters you see above into the box below to verify.